One room in our house that we’ve never fully updated is the bathroom. 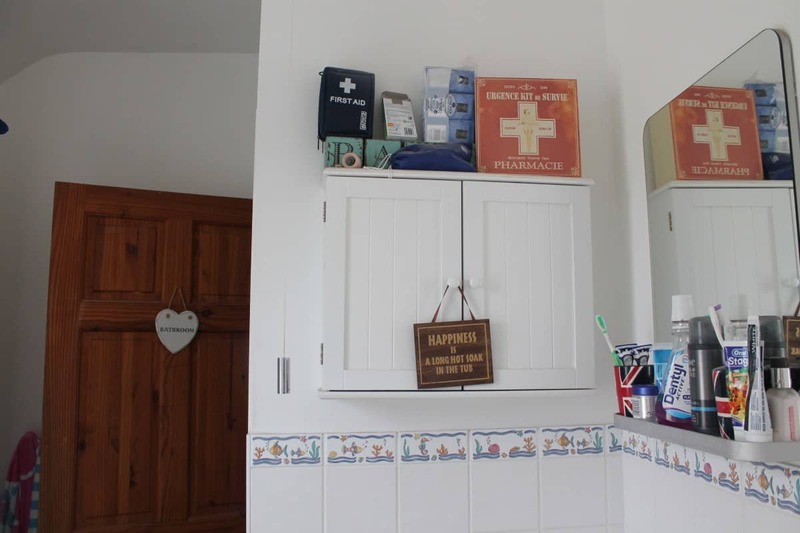 We gave it a coat of paint, installed some spotlights in the ceiling and put in an extractor fan a few years ago but apart from that it has never really changed much – just updating storage options as we’ve run out of space. The time has come though to update the bathroom fully and so during September we are having a complete bathroom renovation – something that neither Hubby or I have ever lived through before! We have planned it all, have found someone to put it all together for us and now we just can’t wait to get it finished. 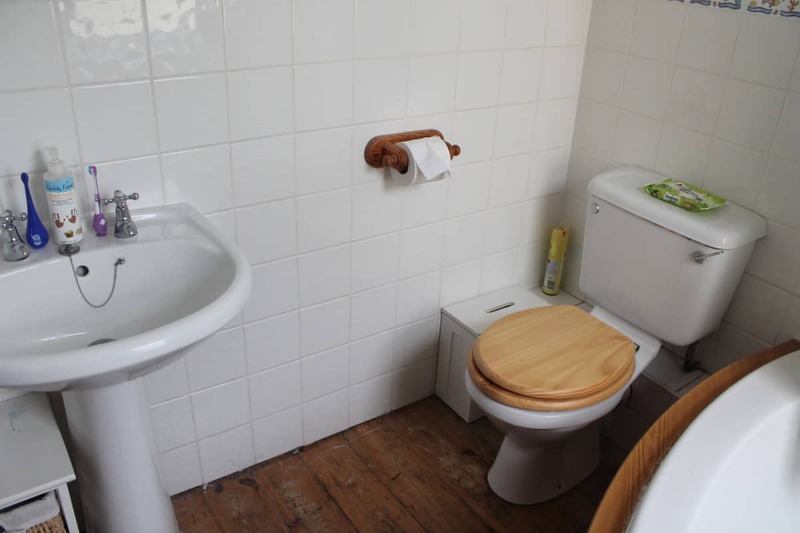 At the moment the bathroom has white tiles over half the walls, original wood floorboards and pine bath panel and accessories. 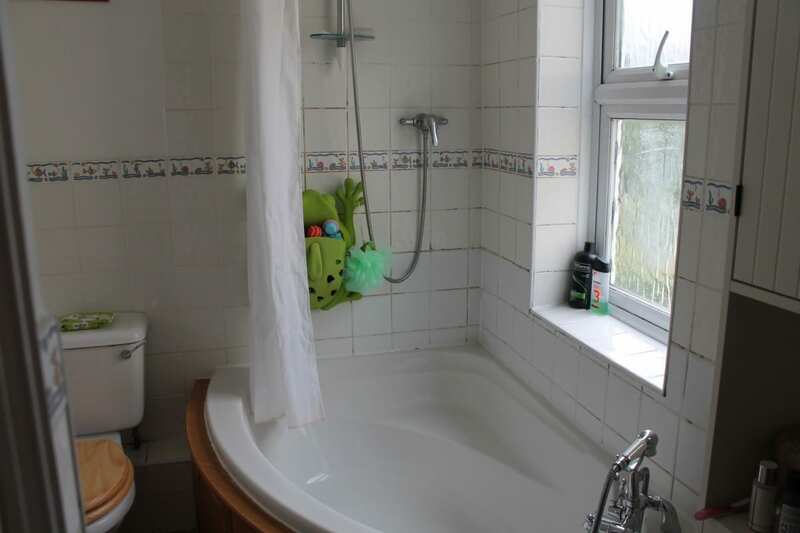 The bathroom suite is white but old and in need of replacing although I will miss our corner bath – complete with seat! The one thing I absolutely hate about our bathroom is that the shower is positioned over the window. It makes the window really icky, makes everything on the window ledge wet and isn’t practical at all so we are moving the bath to the other side of the room with a new Aqualisa Digital Shower above. I have always wanted a really good shower and can’t wait for this addition! 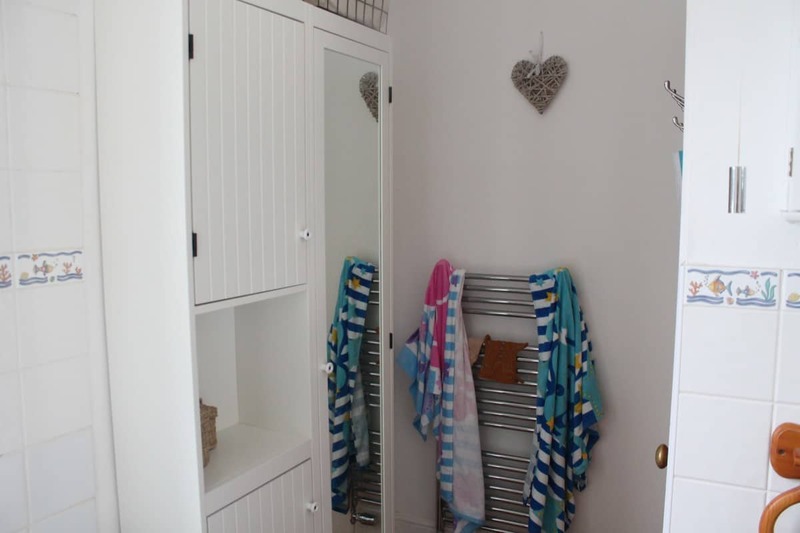 We decided on a standard straight bath instead of a more modern ‘shower bath’ as we wanted it to still be more in keeping with our style of house and have chosen to have a bath curtain rather than a screen. We’re also getting a combined toilet and sink unit with our bathroom suite coming from VictoriaPlum.com and lots of accessories from Croydex as well as a telescopic shower curtain pole – I’m quite excited to see everything come together! Lastly, we’ll be having fully tiled walls and floor. I am hoping this will not only make the bathroom a bit more water tight but will also making cleaning easier and should just make for a better bath experience. I’m aiming to do a post during the work if I can get good enough photos but if not I’ll update you when the work’s finished. Wish us luck! that’s so exciting. Although I’m very jealous of anyone with a bath. We don’t have one. Exciting. I seem to live through other people’s decorating and DIY. Our bathroom’s the only room that’s been ‘done’ since I’ve lived here (13 years ago), and that was only because I hated the beige suite and wanted white. I love the bath/shower, but we also moved plumbing from inside of the house to the outside, and the new modern toilet has never worked properly. It blocks too easily – after having the plumber out twice to fiz it, it just make some feel like we shouldn’t have bothered changing it. Hope yours goes smoothly, will look forward to seeing it. I can’t wait to see the transformation! Can’t beat a new bathroom!